If you have any questions or want to enquire about dates, use our form to contact Alex Payne or see their website for more information. 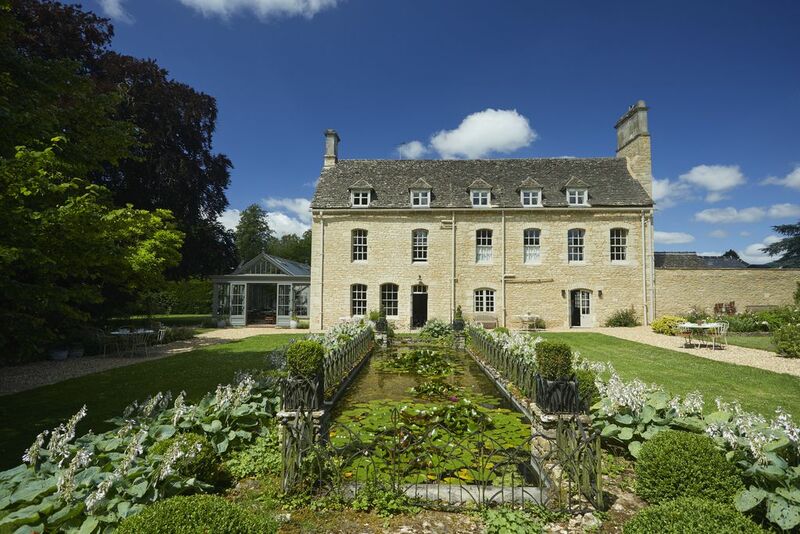 This Georgian rectory dates to 1780 and sits in two acres of English gardens, with the church tower peeping up above fine tress. From the outside, little has changed in a hundred years, but step inside and find a newly refurbished house that sparkles at every turn. There’s a chic sitting with a roaring fire and beautiful art, then a restaurant that starts in a panelled dining room and flows into a conservatory, where doors open onto the garden for breakfast on the lawn in summer. Rooms above are just as good – super beds, stylish fabrics, perhaps a claw-foot bath in your room or ceilings open to the rafters. Light floods in, bigger rooms have sofas, all have contemporary elegance in spades. You get smart TVs (and movies to stream), super-fast WiFi, then robes in magical bathrooms. Back downstairs, a chic bar opens onto the garden for Pimm’s in the sun; keep going and find sunbeds circling the swimming pool. Glorious food rounds off your day, perhaps Cornish scallops, roast veal, Florentine doughnuts with Chantilly cream. Don’t miss the occasional festival at their sister pub across the road. Lunch from £6.50. Dinner, 3 courses, about £35. Sunday lunch from £18. Have you visited The Rectory Hotel? Be the first to leave a review.